Seafood is probably one of the best foods for you. Salmon is good for your health, can improve your memory and reduce your risk of developing heart problems later. 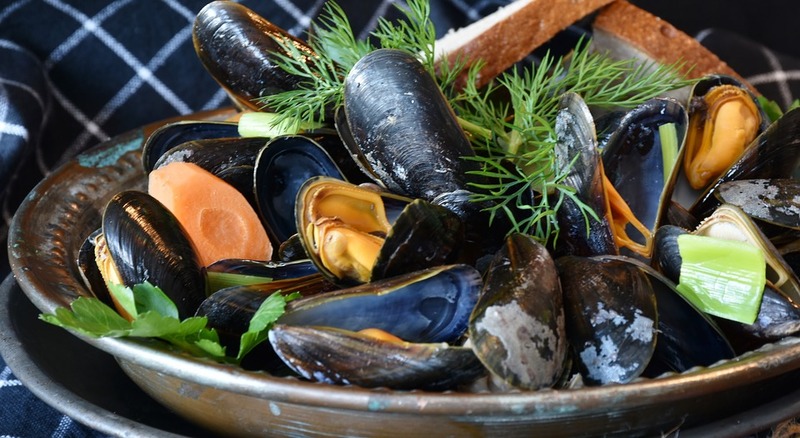 You can also enjoy some great health benefits when you eat tuna, mussels, clams, lobster and other seafood dishes. Though you may buy fresh seafood from a local shop or order it online with the best intentions, you may find that you have a few ounces leftover after dinner. Even if you don't have enough left for a full meal the next day, you can still use those leftovers in a few delicious ways. Make a Stock. Seafood stock serves as a delicious base for any fish or seafood stew, but you may find that it's nearly impossible to find in the grocery store. Some shoppers also find that ready made seafood stock has too much sodium and too many calories. Making your own stock is super easy. All you need is some leftover seafood, vegetables and herbs. You can use everything from shrimp tails to lobster shells in your stock. Fill a large pot with vegetables like carrots, onions and celery, add garlic and some of your other herbs and place any leftover seafood inside. Add enough water to completely cover the ingredients. Bring to a boil, reduce the heat to a simmer and cook until reduced. Create a Salad. Take your tuna salad to the next level with one made from tuna fillets from the night before. As the fish already has all the spices and seasonings you used, you only need a few other ingredients. Add some diced carrots or celery for a little crunch, sprinkle with a dash of salt and pepper and add just enough mayonnaise to give the finished salad the creaminess you want. Serve on a bed of lettuce, on top of a salad or between two pieces of your favorite bread or make a tuna salad melt quesadilla from our favorite recipe. Grab the Pasta. When you order fresh seafood online, you may order more than you need and have a few fillets of tuna or a handful of clams leftover. You can make a winning pasta dish from that leftover seafood. Cook the seafood in a pan with a few cloves of garlic and a little onion, add vegetable or seafood stock and toss in your cooked pasta to heat through before serving. I often make this easy shrimp and vegetable pasta recipe on busy weeknights from an assortment of leftovers! With these recipes on hand, you won't mind having leftover seafood in your home.